Modern Science already confirmed this that Garlic has many of these health beneficial effects that we will discuss on this article today. Though it has been confirmed by scientists but still we don't know much about these health benefits of Garlic. So here in this article we will know about 11 health benefits of garlic that will actually blow your mind. We all are familiar with this name Garlic which is a plant of Allium family. Onion also fall into this category and garlic is closely related to onions. There are about 15 - 16 cloves in a Garlic bulb ( Each segment of a garlic bulb is called a Clove ). We use garlic in foods because of it's strong smell and delicious taste. Garlic can be found in different parts of this world and it is a very well known ingredient for cooking. But from the ancient time Garlic has been being used as a medicine for many diseases due to it's medicinal properties. The use of Garlic was documented by many different civilizations in history. 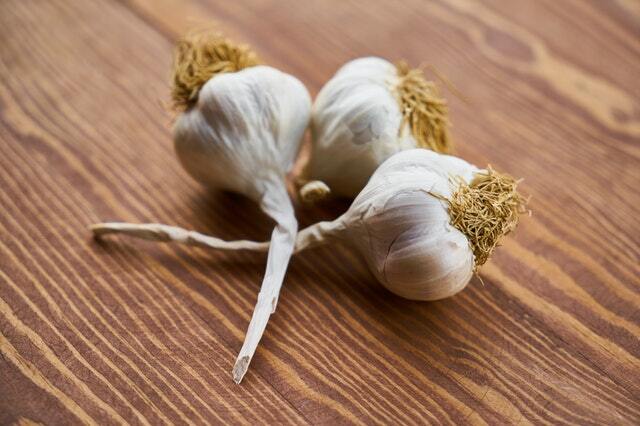 Egyptian Chinese Babylonian civilizations mentioned about Garlic in their medical book. And scientists have confirmed this also. The main health benefit that we get from garlic is because of the sulfur compounds present in it. Perhaps the most famous component in it is allicin which is an unstable compound which is present in fresh garlic. When we eat a piece of garlic or a garlic clove it first goes to our stomach and from their sulfur compounds travel all over the body. 22 - 23% Manganese, 14 - 15% Vitamin C, Selenium 6%, Vitamin B6 17%, 0.6 grams fiber and decent amount of other materials like iron, phosphorus, copper etc. So now you can easily understand how useful garlic can be for your health. Below in this article you will read what health benefits you get if you eat Garlic regularly. 1. As Garlic improves your body immune system it helps you to fight against Common Cold and sickness. 2. The active compounds that we found in Garlic actually reduce the Blood Pressure. 3. Eating Garlic regularly may improve the health of your Bones. 4. In ancient time specially in ancient Greece it was given to athletes to enhance performance. And now it is proven that Garlic improves work capacity and boost the performance level. 5. Garlic reduces the Cholesterol level in human body which lowers the risk of Heart Disease. 6. If you eat Garlic It may help detoxify heavy metals in human body which causes organ damage. 7. Garlic is really helpful for those who are suffering from different types of arthritis. Eating garlic regularly really helps them to get relief from the pain. Garlic paste can also be used on the area where the pain is high. 8. Eating garlic regularly is a very good habit and because of it's magical properties it may help you to live longer. 9. Garlic contains high amount of Antioxidants that reduces the risk of common brain diseases like Alzheimer's disease. Wow ... though the advantages of consuming garlic are well known to people but still this post offers a lot of information. thanks for compiling this . Garlic is really a power food. Hmm... Garlic is truly an amazing food. I even write about health and various kinds of plants. Thanks for sharing the useful blog about the health benefits of Garlic.